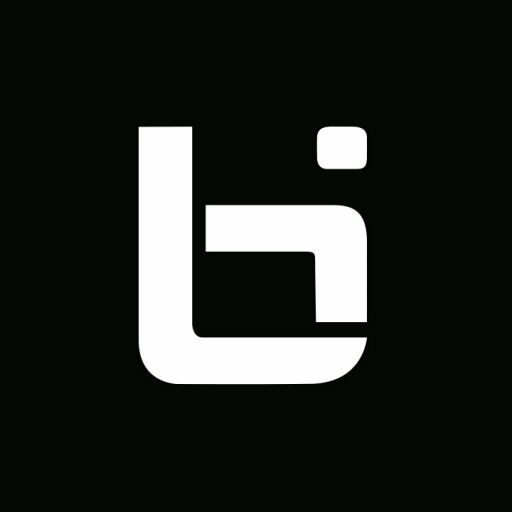 If you play Fantasy Basketball, then you love games that go into overtime. Double OT? Even better. Triple? That’s Fantasy sports heaven! 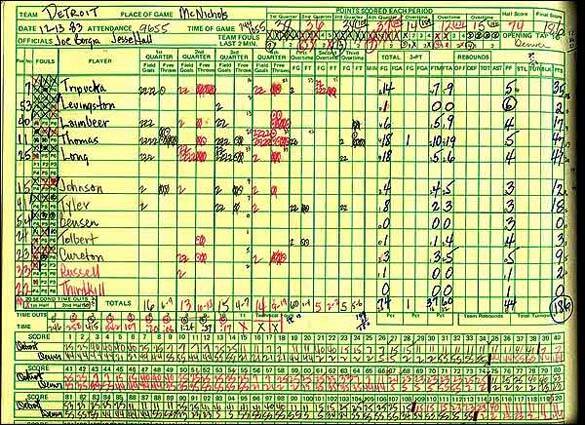 Now imagine if Fantasy sports existed in the early 80s and you had players on the Detroit Pistons and Denver Nuggets on December 13th of 1983, when the two teams combined for a NBA record 370 points! 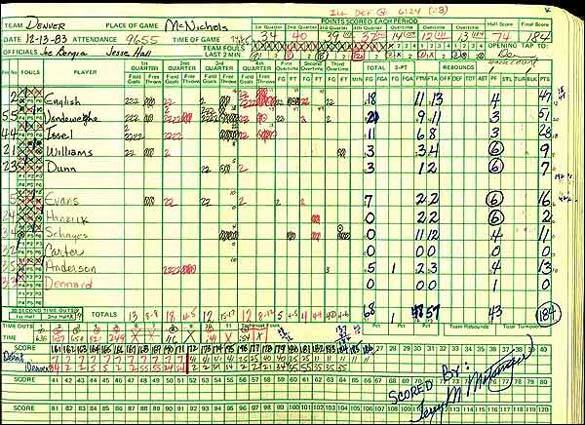 12 players scored in double figures with four players scoring over 40 points. 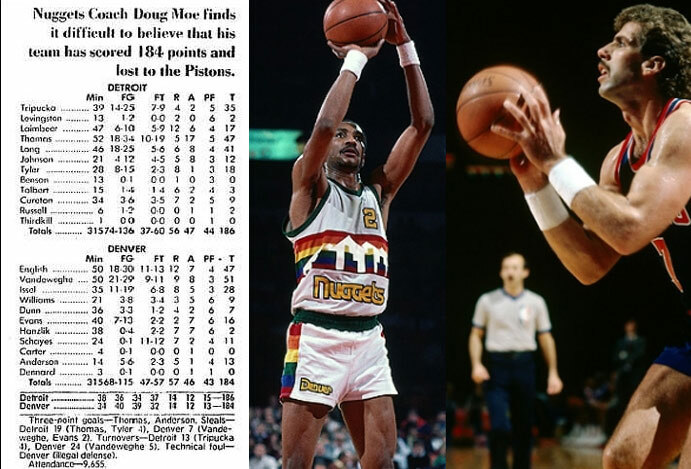 Kiki Vandeweghe (51) and Alex English (47) were the top two scorers on the Nuggets, while Isiah Thomas (47) and John Long (41) were the two highest scorers for the Pistons. Thomas also had one of the three double-doubles with 17 assists — many of them going to Kelly Tripucka, who chipped in with 35, including all 12 of the Pistons’ points in the second OT.